Are you looking for Electric Car Charging Points Installation? The figures for early 2018 show that there are over 137,000 electric vehicles in the UK, and the number is growing rapidly. We have seen a steady increase in the need for Electrical Vehicle charging points, in the home and at the workplace. We anticipate the need for EV charging points to continue growing as time goes on, with the majority of the charging of private vehicles being done at home. 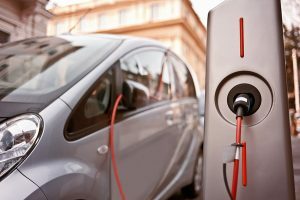 However more and more businesses are seeing the need for EV charging at the workplace, with some having incorporated electric vehicles into their fleet. With this in mind the popularity for requests for us to fit EV charging points has soared. Our electricians are fully qualified in the installation of EV points and we are registered and approved through Rolec and OLEV, please call us to speak to a member of our team about your requirements. Grants are now available through the OLEV Scheme, with our customers getting £500 towards the cost of a charging installation. Click here to learn more about the grant and your eligibility. For more information on Electrical Vehicle Charging and info about the services we provide visit our Services section or contact us on 01302 730 600.